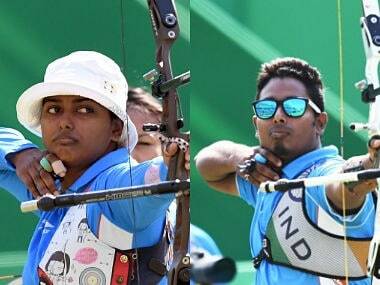 Indian archers Deepika Kumari and Atanu Das exchanged rings in an engagement ceremony and will tie the knot in 2019. The 4-5 loss in the mixed team quarterfinals left the Indian squad shell-shocked as Deepika yet again floundered in pressure situation, finding a seven in the second shot of the shoot-off, which led to their ouster. 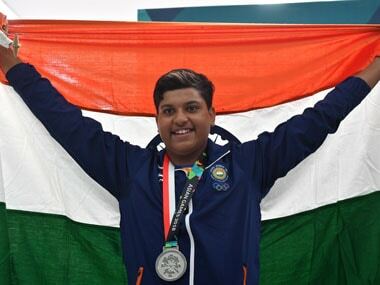 The simplicity and maturity with which Shardul Vihan approached the task of gunning the targets down was a delight to watch for those who have spent years tracking shot gun shooting. 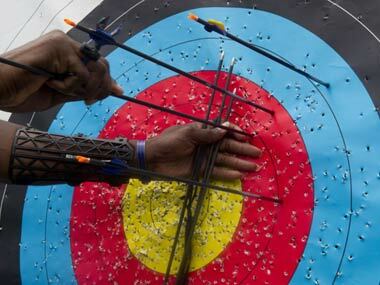 A former India coach blamed "flawed" selection policy for the downward spiral of recurve archers, as they prepared to leave for the Asian Games in Indonesia. 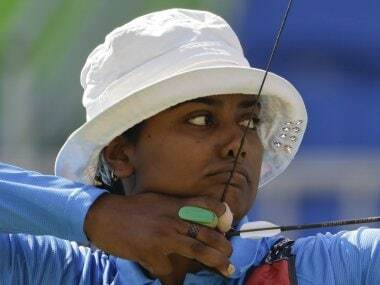 Indian archer Deepika Kumari has clinched gold in the women's recurve event at the third stage of the Archery World Cup being held in America, qualifying for the circuit final that is scheduled to take place later this year. 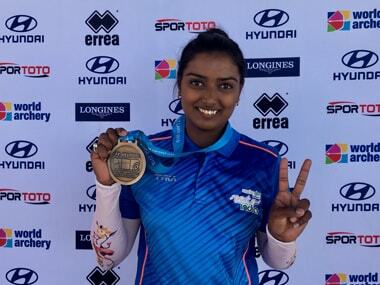 Ankita Bhagat emerged as the best-placed Indian in the recurve qualifications round as she got an eighth seed, while former world number one Deepika Kumari and Atanu Das got the 10th spots in the Archery World Cup Stage 1 in Shanghai on Wednesday. 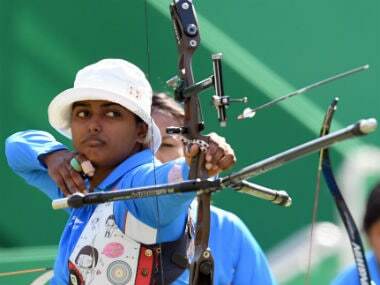 Deepika Kumari, seeded third, defeated 13th seeded Sayana Tsyrempilova of Russia 7-3 in the women's recurve bronze play-off.